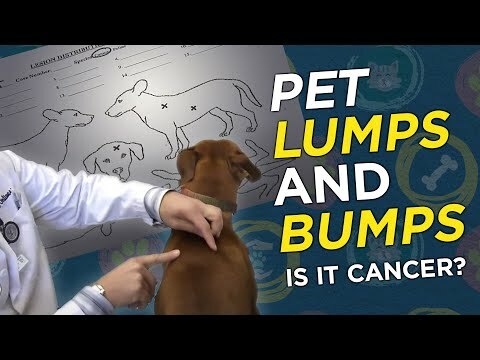 Learn more about lumps and bumps on your pet. In this video we meet with Dr. Mona Rosenberg who is board certified in veterinary oncology. She’ll discuss the importance of checking your pets lumps or bumps, testing and diagnosis, cancer & treatment. Pet care advice. Did you ever wonder how protein works in a canine’s body? Try to picture a conductor leading an orchestra. Each instrument player is essential if the symphony is to be played correctly. The role of proteins in our dog’s body works in the same way. Without it, the body will not be in tune. Just like an assortment of musical instruments, an assortment of different forms of protein is needed to make up an entire dog. Each section in an orchestra is composed of the woodwind section, percussion section, brass section, and string section. Each section has their specific roles to play in making the symphony sound great. Proteins in essence work in the same way. The different working parts of a dog’s body are made up of sections of protein. Amino acids work just like a conductor. Amino acids define the various functions of these proteins. There are twenty three different kinds of amino acids. These amino acids work as the building blocks needed by proteins. A dog’s body produces 13 of these amino acids. The remaining 10 amino acids come from the food a dog consumes. A puppy will fail to grow and develop if these 10 vital amino acids are not sufficiently supplied. Without these acids, a puppy will fail to thrive and cease to exist. On the other hand, if an adult canine fails to get these essential acids from the food it consumes, the result will be a weakened dog with a number of nutritional deficiencies. A good source of these vital amino acids is from plants and meat. These food sources contain significant amounts of these essential acids needed for dogs to survive. Each and every type of protein varies in the level of importance in the body of a dog. Some have vital roles; others are rather insignificant. The protein levels needed by dogs are highly dependent on the amount of essential amino acid produced by that particular protein. Biological Value pertains to a protein’s ability to supply a dog its MDR or Minimum Daily Requirements of the 10 vital amino acids. They are your dog’s body’s building blocks. Without them the body would not be able to function. Proteins are much needed in the development and growth of puppies, as well as the efficiency and development of their immune system. Additionally, they are absorbed as calories, or converted into fat reserves if there is a need for it. They are needed for the constant and healthy growth of a dog’s coat, skin, and nails. Proteins are essential in the production of much needed hormones in a dog’s bloodstream. They are essential in maintaining a healthy and efficient immune system needed in fighting off various infections and diseases. As you can see, proteins are vitally important in maintaining the pristine health of our dogs. Without them, it will be impossible for dogs to survive. Find out the ‘Secret‘ reason every dog, including yours, is now at risk of an early death! Go to: http://www.dogfoodsecretsnow.com, before it’s too late. Learn about cataracts in dogs and cats. 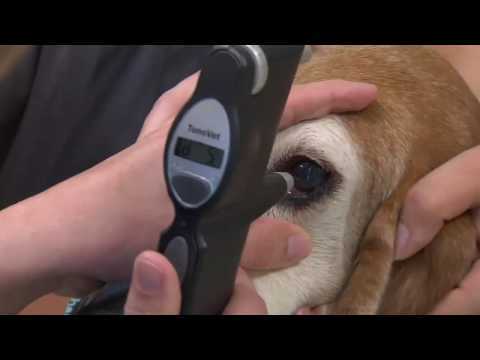 Dr. Douglas Esson, who is board certified in veterinary ophthalmology, talks about what a cataract is, what problems can be associated with them, and what treatment options are available. This information is not meant to replace the advice of your regular veterinarian. Learn about Hip Dysplasia in dogs. 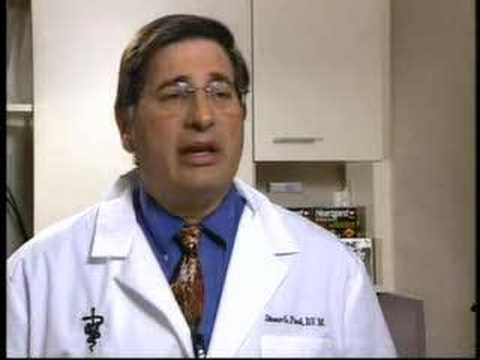 Dr. Anthony Cambridge, who is board certified in veterinary surgery, talks about what Hip Dysplasia is and how to recognize if you dog has this problem. This information is not meant to replace the advice of your regular veterinarian. It’s not hard to train your Labrador if you know what you’re doing. Unfortunately, many first time dog owners don’t. That’s why training a Labrador can be such a struggle. It’s important to make sure that you give your dog the obedience training he or she needs, so that you’ll have a friendly, obedient pet when your dog is an adult. Here’s a look at some of the most important things you should know about training a Labrador. 1. Make a rule and stick with it. Your dog needs to know that the place to use the bathroom is outside, not inside. That means starting to teach this lesson to your puppy from day one. Take your puppy out once an hour, after eating or drinking, after exercise or playtime, before bed and when you wake up. You might need to take your pet out when he or she gets excited, too. It might seem like a lot of work, but it’ll help you make a firm rule – never go in the house! Other rules should be stuck to the same way. Praise your dog every time he or she does what you want, to reinforce the right behavior. 2. Signal consistently. Your dog needs to have the same training every time. Use one word commands and simple hand signals, and never change them. After all, your dog will learn faster the more you repeat yourself. But don’t train too long. Even consistent signals can be easily forgotten by a dog that’s tired and distracted. Take breaks to keep information fresh in your pet’s mind. This will help make training a Labrador easier. 3. Discipline carefully. Every dog needs discipline. After all, your puppy will eventually do something frustrating. But don’t shout and get angry. That’s a terrible way to enforce discipline, and instead of training a Labrador the right way, you’ll just make your pet afraid of you. Don’t hit your pet, either. Instead, make eye contact, and say “No” firmly and carefully. Then show your dog what he or she should do, and offer praise when it’s done right. Praise is one of the most important parts of training a Labrador, since these dogs want to please so very much. 4. Don’t let your dog get bored. There’s more to training a Labrador than just rewarding good behavior and punishing bad. After all, these are intelligent, active dogs that need a lot of attention and exercise. A bored or lonely lab is likely to start acting up. That means more trouble for you, and you might not even know why. Most of the time, your dog just wants your attention. Be sure to keep your dog occupied and offer plenty of attention to help prevent this kind of problem. 5. Stick to a routine. Just like people, dogs often prefer a routine. So, feed at about the same time every day, take your dog for a walk at about the same time, and train at about the same time. This will help you with training a Labrador, since the lessons learned this way are much more likely to stick. Tim Williams is a labrador retriever enthusiast. He owns and maintains Labrador Retriever Answers, a resource for all Labrador retriever lovers and where you can find more great information on Training Your Labrador and other essential lab advice. To get some expert dog training advice visit our directory. As puppies grow, they want to explore their new world. They do this with all of their senses. This also includes their mouth. Puppies, like infants and toddlers, learn about their world by placing objects in their mouths. And as with babies, they teethe for about 6 months, which usually causes minor discomfort. Chewing not only helps teething, but also makes their mouths feel better. As a puppy starts biting on you and your clothes or furniture, that’s when it can be a bit painful. Somehow you have to stop this problem or they will grow up thinking it is ok to bite people and tear up your things. There are several reasons why your puppy bites. Even though these are valid reasons for puppies to bite or chew, you cannot let this get out of control by just letting them eat up everything in their path and in your house! A puppy that is not given boundaries about biting or chewing can grow up causing all sorts of problems. You want to make sure your puppy bites and chews only on toys which have been approved by you. That way you will save your house and clothes and possibly even their life. · Never hit or slap your puppy in the face. This will just cause your puppy to think you are playing or worse will become afraid of you. This could also cause other problems besides simple puppy nipping later on. · Puppy socialization and puppy biting suppression go together. · The general rule of thumb to stop puppy biting problems is to always encourage positive and acceptable behavior and discourage unacceptable behavior. · As you are trying to train your puppy to not bite, don’t play tug of war games or any kind of game which will encourage biting and chewing. · Consistency is the key. This means that anyone else who comes into contact with your puppy must enforce the same rules as you when it comes to nipping or biting and chewing. · If you don’t show your puppy that biting and nipping is unacceptable, they won’t just magically know this. It’s up to you to show them what is acceptable and what is not. It’s important to not get upset and to stay assertive. If they are causing puncture wounds or becoming more aggressive, it might be time to get some professional help. You want to stop this behavior early on. One good technique to stop your puppy from biting you is to get their attention on a toy. Puppies love toys, and a lot of times they are biting you because they think you are a toy also. This is a great way to show an untrained puppy that it’s ok to bite on a toy but not you. It’s also is a good technique to use when they get over excited and are losing control. Taking their mind off of what they are focusing usually biting your hand or leg, helps calm them down. Another technique which might work is using a spray bottle full of water in it. Some experts say you should actually hide it when you spray them because they could get wise to it and it will no longer work. It’s not always easy to do this, and your puppy could see this coming from you and decide you are playing a game and attack the squirt bottle. Then this won’t work anymore. You can also shake a can. Get an empty clean soda can and put about ten pennies in it. Tape the mouth of the can shut. When your puppy starts biting you, shake the can, give the verbal command “NO” and shake the can and drop it next to them. This will reinforce the verbal command and your puppy should stop. When they do stop, praise them and give them a chew toy to chew on. One of the absolute best ways to teach your puppy not to bite is using a time out Place them in an empty room with nothing whatsoever to play with. Nobody should give your puppy any attention during the time out..30 seconds to 1 minute is usually sufficient in getting their attention.. Sometimes this might not be a long enough time and you might have to go longer. It all depends upon the age of your puppy, temperament and normal behavior. Remember that the key is patience and consistency. It may take some time, but using these techniques will help you train your puppy to become a well behaved pet and member of your household. For some expert puppy training advice visit our directory. Not a lot of people have heard about raised dog beds, and they don’t know what they are. After you have read these FAQs you will have a better understanding of what these beds are, and how your dog will benefit from this style of indoor/outdoor bed. What is a raised dog bed? A raised dog bed is basically a dog bed that is raised about 6 inches above the ground and they usually have a comfortable all weather fabric for the dog’s comfort. The part where the dog sleeps is not touching the ground at all. Think of it as a cot for a dog. Some of them can even be folded back up like a cot; however, most of them have solid legs to make it sturdier. Why would you use a raised bed? Mostly to keep the dog up off of the ground, considering how uncomfortable it is to lay on the ground, even if there is a pad there, it is still uncomfortable. These beds also allow air to flow freely under the it for the dog’s comfort. Another thing is moisture; it collects on the ground, and can get into the ground beds quite easily. This style will keep your dog off the wet ground which will help prevent aching joints due to the dampness. These beds do not cost that much at all, anywhere from $25 – $100 is usually the top cost for for one. Then again it all depends on which brand you buy and the size since they come in small, medium and large dog bed size. In addition to size you want to be sure to get a sturdier one with a good sleeping surface. Now that you have gone over these FAQs you have a better understanding of raised dog beds; what they are, and how they are good for your dog. They are basically a cot for your dog, keeping it off the cold floor or ground. Since it is off the ground, there is less chance for it to be subject to moisture that has collected on the ground or floor. And with such a low price tag, you will be able to afford these beds without much trouble at all. To find a pet store near you visit our directory. Herbal remedies for dogs have been used for thousands of years but they are still confusing and controversial for many owners. The use of herbs and the benefits they offer are starting to gather new momentum in many parts of the world as natural ways to build your dogs immune system. While the uses of drugs in modern medicine have shown tremendous advances in recent years, there are still many who believe that they can and do alter your dogs natural immune system. But there is one very important thing to understand about herbal medications; they can also have some very damaging side affects if not used properly. In all cases where you are going to use herbal treatments, you should do so under the direction of a professional. If your veterinarian does not fully understand or accept herbal remedies for dogs, find one that does. For every one professional that does not believe in this ancient form of treatment, there is one that not only understands them, but they can fully explain and utilize them. What is also important to understand, is that most all of today’s new drugs were discovered and than isolated from plants. They are than purified and concentrated, and as a result act very quickly in most all cases but they also have the potential for very serious side affects. The entire idea behind herbal remedies in dogs is to have your pet ingest either an extract form or a dried form of the same plant, but in much smaller concentrations. It is strongly held in several circles that this will produce the same desired affects of many of today’s modern medications, but without the potential of side affects. It is almost impossible to get any type of treatment that will totally safe for your dog, but if herbal remedies are taken with the assistance of professional guidance, they may be as close as you will ever come to being completely safe. Herbal remedies for dogs will almost always begin with black walnut as it is perhaps the most powerful and natural remedy for your dogs biggest enemy; worms, especially heart worms. However, it can be cause complications if not given in the correct amounts by a professional as it may cause diarrhea and vomiting. There are several very effective herbal supplements that will utilize black walnut, but in lesser amounts and will combine it with barberry, cascara, chapparal, cloves garlic, berry, milk thistle, sage, and slippery elm. This herbal remedy has been used in several cancer formulas because of its diuretic qualities as well as its blood cleansing and anti-neoplastic affects. However, it is much safer when combined with other ingredients. If your dog has any type of a blood clotting disorder it is not recommended as it contains very small amounts of Coumadin. It also contains very small amounts of salicylic acid, the main ingredient in aspirin. However, it would have to be given in excess to have any adverse side affects. This form of herbal remedies for dogs is very well known for its immune modulating qualities and is very effective in immune system disorders, diabetes, as well as immune deficiency conditions. It helps to stimulate your dogs immune system but is not recommended to give to your dog for more than six to eight weeks. Because it is so powerful, it is recommended to stop it for a period of time and then reintroduce it slowly. Most veterinarians will use this herb very early in treating this very wicked set of conditions as it is that effective. This herb has a very long history and is one the most common herbs in traditional Chinese medicine and is used for respiratory disorders in dogs. It is most commonly used for asthma, but it can potentially cause high blood pressure if it is not closely monitored by your veterinarian. But again, it would have to be given in very high dosages to cause complications. This form of herbal remedies for dogs has also been used for centuries, but is still controversial. It is extremely effective in treating parasite infections, microbial infections, as well as treating cancer. Garlic in very large amounts can cause anemia in dogs, and if your dog does have anemia, it is not recommended. But it does not justify the criticism, as in must be given in excess before it causes any side affects. The best way to use it in your dog is to carefully control the amounts. The rule of thumb is to give one garlic clove per every ten pounds of dog body weight. This herb is very well known for its use in treating dogs with mild forms of cognitive disorders. It is extremely effective for improving memory and is often used in working dogs, hunting dogs, as well tracking and military dogs. This form of herbal remedies in dogs is very well known for its usage as a treatment for liver disease of any kind. However, it is so powerful that owners should be very cautious in using it in normal dogs for extended periods of time, as it may depress some liver functions. This is perhaps the best form of herbal remedy in controlling fleas in your dog. It is used topically and is extremely effective at controlling itching as well, but should be used moderately in small breeds. This herb is at its best when properly prepared and diluted by a professional. There are several other herbs that are extremely beneficial for dogs. Raspberry is very effective in assisting pregnancies in protecting both the mother and the litter, and Chamomile helps with both wound healing as well as respiratory diseases. Lavender is a natural sleeping aid for your dog if they are having trouble sleeping, and oats helps to reduce itching when your dog is bathed in it. Yeast is a natural skin supplement as well as a treatment for diarrhea, and flax-seed is used very effectively for both constipation as well as irritable bowel syndrome in dogs. Herbal remedies for dogs will always be somewhat controversial, but if you fully understand and do the research, it becomes oxy-moronic to suggest controversy. These treatments have been used for dogs for thousands of years and almost every medication, even the newest forms, are derived from herbs and plants. You almost have to ask yourself why they would be controversial. They have a much lower chance of side affects and are natural. Perhaps hampering large drug companies is where the controversy comes from. I am an avid lover of pets and my wife and I have had several pets throughout our years. We are especially fond of dogs, and we have a 12 year old Dalmatian (our 3rd) and a “mutt” that we rescued when someone threw him away to die in a vacant field. He found us, nearly starved to death, and weighed about 2 pounds. After severe bouts of mange and severe dehydration, and over 1,000.00 in veterinarian bills, we saved the little guys life, and he is one of the best, if not the best, dogs we have ever had and today is a muscular, fit, and firm 70 pound best friend. After finishing my MBA, which at middle age was not easy, I decided to keep the research work ethics that I acquired, and devote about two hours each night in understanding the health benefits of supplementation for both humans and pets and how they might strengthen our, as well as our pets, immune system in a pre-emptive approach to health rather than a reactionary approach. Both of my daughters are avid cat lovers, and asked me to help them with health concerns and challenges with their cats. I am not a veterinarian nor claim to be, just a lover of pets that loves to research and pass on some knowledge that might be helpful, or at least stimulating to the thought process. Several of the articles that I have written can be found on my website; Liquid Vitamins & Minerals for Humans & Pets http://www.liquid-vitamins-minerals-humans-pets.com. One often overlooked aspect of canine health care is dental maintenance. Just like humans, dogs can develop painful cavities and suffer from tooth chipping and breaking. The sad part is your dog may have a hard time telling you what is wrong. Some veterinarians offer adult dog tooth cleaning, which every dog should be given roughly once per year after the age of two. You could get away with a little longer, if you are willing to brush their teeth at least once a month yourself. Dog treats can also help maintain your pet’s smile, with varieties made specifically for dental care. If you have ever visited a pet store, you have probably seen the uniquely shaped and colored Greenies dog treats. These stand out mostly for their appearance. They are green in color and shaped like a rounded tooth brush. Many dog owners turn to this brand as an easy solution to help promote good dental health in their pets. Most dogs enjoy the taste of Greenies, and as they chew, they are cleaning their teeth. The biscuit is easy to digest which makes it safe for almost any dog. The only downside is, if your dog does not properly chew his Greenies, he will miss out on the dental benefits, which is the reason for giving them to him in the first place. Try purchasing a slightly larger size Greenie treat to ensure your pet is thoroughly chewing before he swallows. Pedigree pet food brand also makes a line of dog treats called Dentabones. These have a chalky white appearance and are shaped something like an actual bone with a wider end. The shape and texture are intended to promote deeper cleaning as your dog works the bone in his mouth. Dogs love the taste and many owners have reported their pet’s breath smells fresh for a long while after. The only downside to the Dentabone is the cost. The packaging recommends about one bone per dog per day for effective dental cleaning. However, the bones are generally sold in three packs which means owners have to buy multiple packs just to get through a single week. There is yet another alternative to feeding your pet teeth-cleaning treats. Many pet supply stores now carry dental dog toys. These are designed to get between teeth while your dog plays and chews. Some feature bristles while others are constructed of rubber meant to work out old food and other things that can accumulate in your pet’s mouth. There are even combination designs that are made entirely of rubber but feature cone shaped “bristles” so you get the best of both worlds. Your pet’s dental hygiene should be just as important as his health. In the end, poor tooth care can begin to effect your pet’s health status. He might not be able to eat as he once did and could suffer from infections and pain caused by tooth decay. Owners who monitor and maintain their dog’s dental health can ensure their pet has a long, pain-free life with the added bonus of fresher breath and a glistening doggy grin! Kimberly Case is a popular contibutor at dog treats to go-where you can find Dog Treats and Dental Treats Put a smile on your dog face today!